When you are ready to give your home a facelift by replacing your windows in Barrington, Siding & Windows Group is a Barrington window contractor with decades of experience. Whether you want heavy duty fiberglass windows, or you just want replacement windows to fix drafts, we are here to meet with you about your window needs. Wood Windows – When you want to keep your home looking traditional, wood windows are a great option. 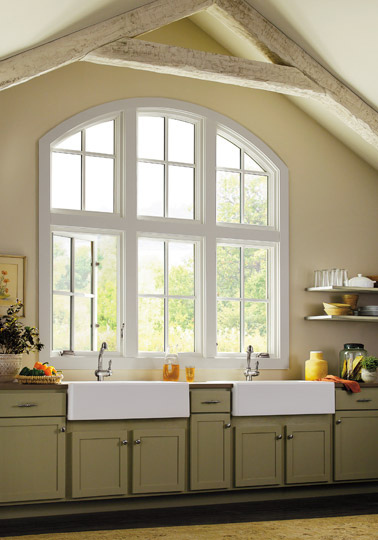 You can choose from Marvin windows, Pella windows or Anderson windows, which are the top three brands we work with. Wood replacement windows are easy to care for and they will last for years. Vinyl windows – Vinyl windows tend to be the most versatile, simply due to the color choices and textures that are available to you. When you want to customize your windows and create a perfect match to the existing decor, vinyl windows are your best choice. Fiberglass windows – As the toughest, most durable windows available, fiberglass windows are an excellent source of insulation, and are wonderful at resisting condensation. We install Marvin windows made from fiberglass. We have been doing business for more than 30 years, and as a licensed and bonded company, we offer wonderful craftsmanship from our professional installers. We work hard to make sure that all of our customers are satisfied and we don’t finish the job until you are happy with the results. We liked the crew that worked in our house. Their workmanship was exceptional. The owner was very involved in the project and always responded in a timely manner. Our deisgn consultant did a nice job helping us visualize what our house would look like based off our materials.